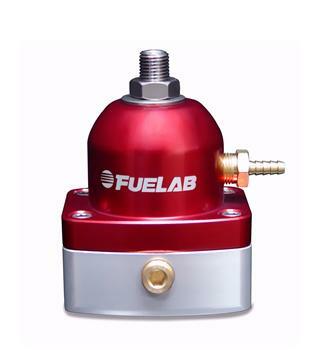 FUELAB 535/545 Series Fuel Pressure Regulators have all the same great features as our 515/525 series, only smaller and weigh 50% less. They accept port style and non-port style union fittings without interference. Several configurations are available, supporting carbureted applications as low as 10 PSID to fuel injected applications up to 125 PSID. The 535 Series Fuel Pressure Regulator has a -6AN return port located on the bottom. The 545 Series has its return port in-line with the inlet port (not on the bottom) which allows for easy installation in extremely tight locations.